rdmore rider Amanda Zavodnick rang in a new year the best way possible: with a birthday ride surrounded by her SOUL community. Get in on the celebrations, ahead. Today, I threw a birthday party for myself. I knew one person on the guest list and he was the host with the most. The other 56 people were complete strangers. Most were half my age, some half-dressed and all of them totally unaware that it was my birthday. Yet, this was exactly how I wanted to celebrate. As we age, birthdays get a bad rep. I decided to fight that this year with the help of my Ardmore SOUL pack. Yes, I will embrace that I am now in my late 30s and that I’m still awesome. After a year of riding with SOUL, I see the passing of another year with rose-colored spokes. Today, I am another year STRONGER. Older has nothing to do with it. After cake with my kids for breakfast and a long day at work, I booked my SOUL-searching time. It’s my gift of 45 minutes to investment in myself. The perfect complement to aging is being reminded that you are a total rock star. Never mind, that I didn’t recognize more than one face at my own party. Through sways, tap backs, rhythm and unity, I have community. I might not know where my fellow riders come from, but I know where we are going. We are all on a journey of self-discovery. Together, we unearth power, energy and inspiration. Within the walls of the studio, we fight like warriors, committed to our cause, determined for self-improvement. Whether it is upon a back row, front row or side bar bike, we discover a sense of belonging. Guided to recognize our own abilities and supported to let go of self-imposed limitations. Each time we arrive, we create a support group harnessing the power of, all on the same ride phenomena, and it is truly captivating. Above all, it is nourishing and healing; a birthday ritual everyone can get behind. The energy was high, the music was insane and the dancers were hard-core. My Soul Guru, Nick Turk, totally nailed it. The icing on the cupcake was the studio wide birthday wish at the end of our ride. I know that we aren’t supposed to reveal our wishes but I can help but share that I wish for more SOUL (plus other secret wishes). This party was truly the stuff of legends. Thanks for the Army of Love on my birthday, Ardmore SOUL. Feeling inspired to ride? Purchase a series HERE. Interested in booking a birthday party (or any kind of party!) at SOUL with a group of friends? 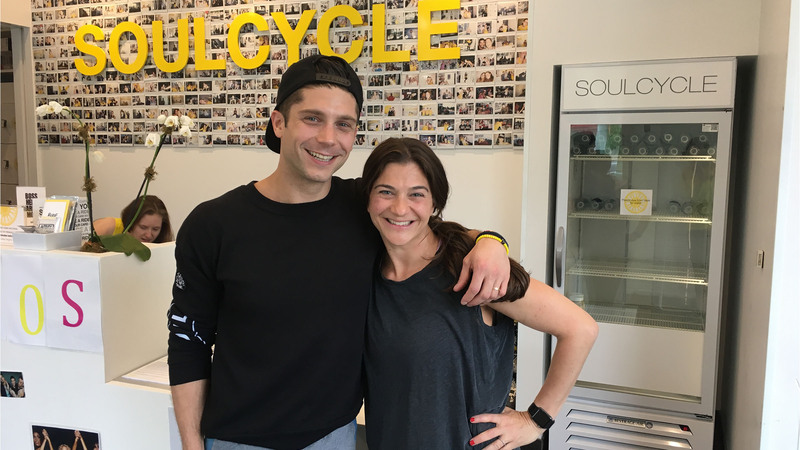 Contact events@soul-cycle.com — we're always happy to help make it happen.